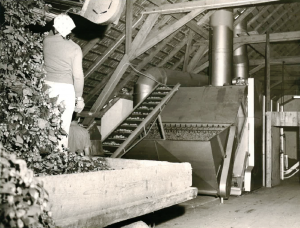 The dryer production began in 1950 with the construction of a classical air dryer for the dehydration of hops for a company based in the Hallertau, the largest hop-growing area in the world. 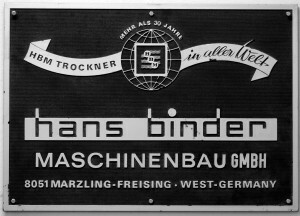 Soon after, BINDER expanded their service offerings to include the construction of continuous belt drying systems for other products. Our technological expertise has since been continuously improved and the company is poised to deliver customized drying lines for the food, pharmaceutical, chemical and waste management industries. By cooperating with our customers to provide the best technology available, we have realized complex projects for drying, pre-and post-treatment of fruits, vegetables and medicinal plants. Also, our systems are ideally suited to dry products from the chemical and pharmaceutical industries. We assist our customers with the planning of complete processing lines, from concept to commissioning. Reliability and technical expertise demonstrated over the years has led to a special relationship of trust between our customers and the company.